Always start with the minimum feeding rate. If after 2 days a stronger effect is needed, then increase the daily feeding rate, up to the maximum recommended daily intake (e.g. 4 scoops for a 500kg horse). If a less potent effect is required then decrease the daily feeding rate. 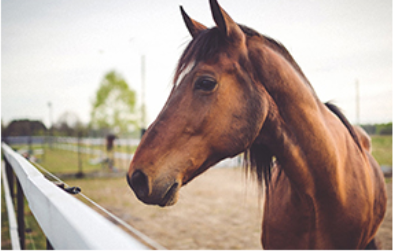 Individual horses may respond differently and the level of intake should be adjusted to obtain the required effect. The effects of ProKalm may be seen in as little as 30 minutes. The effects of a single feed can last for up to 8 hours. Peak effects are usually observed 2-4 hours after feeding. For difficult behaviours the effect may take 2-3 days to stabilise. 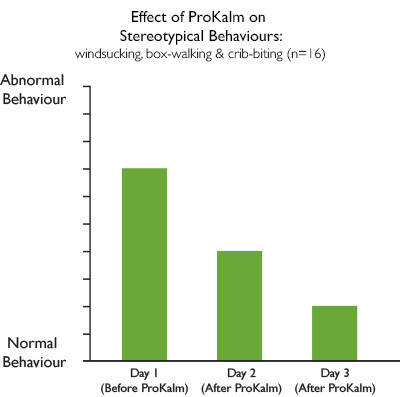 The effects of ProKalm are more predictable and consistent when it is fed regularly twice a day. For further information and advice contact our Nutritional Advice Line on 0345 504 6940. The effects of ProKalm may be seen in as little as 30 minutes. Peak effects are usually observed 2-4 hours after feeding. ProKalm can be used as a “one-off” for difficult situations. 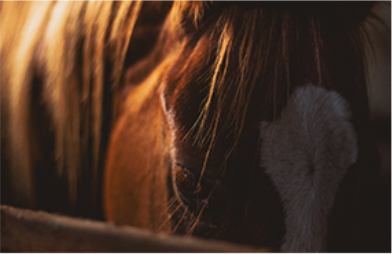 The effects of ProKalm syringe are more predictable and consistent when used in conjunction with feeding ProKalm powder twice a day with feed. For further information and advice contact our Nutritional Advice Line on 0345 504 6940.